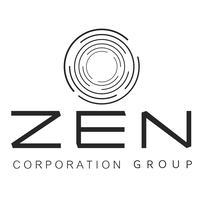 BANGKOK – (ACN Newswire) – ZEN Corporation Group Plc., or ZEN, has fixed its IPO price at 13 baht per share, the highest price surveyed during the book building process, following a good response from institutional investors. ZEN has appointed Kasikorn Securities as its underwriter, with SCB Securities Co., Ltd., Finansia Syrus Securities Pcl., KGI Securities (Thailand) Pcl. and KTB Securities (Thailand) Pcl. as its co-underwriters. Preparations are being made for investor subscription on 7, 8 and 11 February. ZEN shares are expected to see their first day of trading on the SET on 20 February. Mr. Pongsak Phrukpaisal, Managing Director of Kasikorn Securities Pcl., in his capacity as financial adviser and underwriter, said that Kasikorn had surveyed demands for ZEN’s IPO during the book building on 4-5 February. It found good response from institutional investors who wanted subscription at the highest price of 13 baht per share and demand far exceeds the number of shares being allocated. This reflects confidence in the business fundamentals and future growth potentials of the group which is why the IPO price was set at 13 baht per share, the highest price surveyed during the book building. At present, ZEN has a registered capital of 300 million baht divided into 300 common shares at a par value of one baht per share. The registered capital is composed of 225 million baht in paid-up capital and the group will offer to sell 75 million IPO shares, or no more than 25% of all issued and paid-up common shares of the company after this IPO. The fund raised will be used to expand the business of the group – including expansion and improvement of restaurant branches, repayment of loans from commercial banks, and used as working capital in the operation. Mr. Boonyong Tansakul, Chief Executive Officer of ZEN, said the group aims to step up as the leader in the country’s food service business and the corporate vision is to become the leader in the food business that has the confidence of customers, business partners and all other concerned parties. The group plans to expand its business through a concerted effort to improve its restaurants, franchise and other related businesses after having invested in the management system within the organisation to support business expansion. The group has a total of 12 restaurant brands – six Japanese and six Thai. The Japanese brand restaurants include: (1) ZEN, serving authentic Japanese food, (2) Musha by ZEN, new trend Japanese restaurants, (3) Sushi Cyu Carnival Yakiniku, premium Japanese restaurants, (4) AKA, Japanese style grill restaurants (Yakiniku), (5) Testu, premium Japanese style grill restaurants, and (6) On the Table Tokyo Cafe, lifestyle restaurants. “We have the strength of being a complete provider of food services. We have a food business with a variety of brands that can respond to consumers with low, medium and high purchasing powers. We have a franchise business to help the group expand its branches widely and we also have other related businesses that make us different and give strength to our operations,” Mr. Boonyong said.